Simply put, do it yourself and electrical are not two things that can or should ever go together. It really just isn’t worth the risk. There is a slew of safety concerns, as well as major property damage, and above all, it’s illegal due mainly to the safety issues present. Electrical work is something that you must be trained in to do correctly, so you don’t cause yourself harm while making a repair or upgrade or expose people to danger in the future should they come into contact with your work. Electricity is messy. It’s a dynamic thing that requires careful handling, or it will cause you to risk your life. Humans are not meant to battle it out with electrical current. 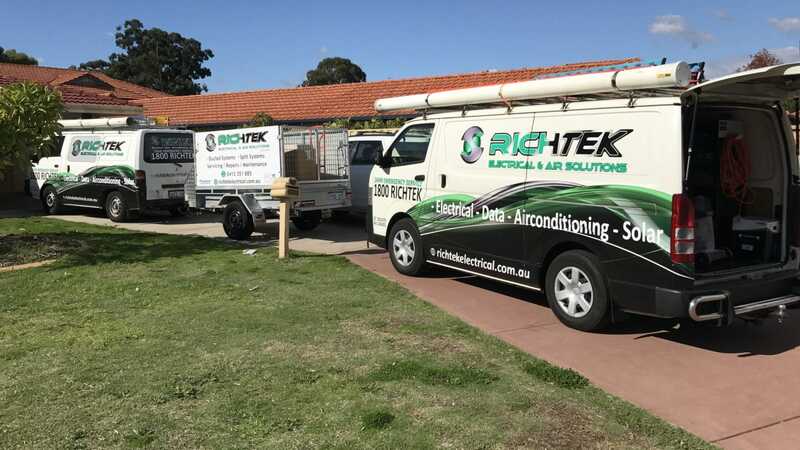 It’s best to always call in a professional like those of us here at https://www.richtekelectrical.com.au instead of trying to save a few dollars and perform electrical work yourself. We only employ staff who are experienced, highly trained, and absolutely trustworthy to ensure a job done well with great attention to the littlest detail, the first time. 1.Electrical tape: the duct tape of wiring DIYers. Often, seasoned electricians see mounds of the black tape known as electrical tape around a haphazard tangle of wires. It’s such a common occurrence that electricians are truly starting to believe that people think this just is a different coloured duct tape. While traditional duct tape has its place in fixing many odds and ends projects, electrical tape should not be used in the same fashion. Twisting wires together and relying on the tape to hold them often means poor connections, which can become potential fire hazards. Whether that’s now or in the future, any type of loose or failed connection can generate heat, and heat only needs a little bit of coaxing from the right material, of which there is plenty of inside the walls of a house, to become a fire. 2. Getting your wires crossed. While this can cause a simple miscommunication when dealing with just words, it’s a lot more unsafe with dealing with electrical components. There are many, many components to electrical systems. Numerous kinds of wires, outlets, grounds and other accessories. To the untrained DIY eye, these can all look the same. However, each part serves a specific purpose. The gauge of wire necessary for modern homes, for example, is about twice the gauge of standard telephone wire, but these two wires look very similar. If a DIY’er were to use the incorrect material, the amount of heat and power running through it all the time can melt the insulation and cause more heat or fire related issues. Just as you wouldn’t use foam board for a DIY project that called for wood, neither should you try to take on electrical work by yourself. A professional will know what material and component to use for what you need. 3. Ceiling fan or other appliance fails. Although installing a new light fixture or ceiling fan can seem simple enough, especially with the multitude of tutorials available, there are numerous reports of that same fixture dangling from its wires or come crashing down entirely. Unless you’ve been trained to do this kind of work properly, it’s best to leave it to the professionals. No one wants the shocking experience (maybe literally) of an installed fixture gone wrong. Wires can remain live even with their power source shut off and cause a tingling or shocking experience. 4. It’s always in the name of saving money. DIY is a great way to save money. Often, little things can be fixed or upgraded quite easily. When it comes to electrical work however, really take a step back and look at the costs compared to the savings. Also something to consider is would your DIY electrical work pass inspection. The answer nearly all the time is no. Often, attics or other underutilized areas will be revamped into a better space, with people doing all the wiring themselves. However, this brings up a few issues. One is that the work is hardly ever inspected, so it can be difficult to ascertain if it was done right, and two, if issues arise from improper work, the cost to have the work redone can far exceed the original cost of just hiring an electrician in the first place. DIY can truly be a fun and enriching experience. It’s something to keep in mind though that there’s a time for play and a time for work. Experimenting with paints, yarn, or other reclaimed materials is fun and enjoyable. There’s nothing wrong with that kind of DIY. When it comes to more serious matters that deal with the safety of yourself and others, it’s best to leave it to the professionals. You will often save more money, time and frustration this way, and have peace of mind knowing that the work was done correctly and safely.